David R. Warner, Jr., is a Partner with Buzgon Davis. 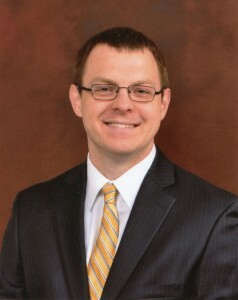 He offers experience, skill, and advice in a wide variety of practice areas. David is admitted to the Pennsylvania Bar and eligible to practice before all Pennsylvania courts, the United States District Court for the Middle District of Pennsylvania, and the United States Supreme Court. He previously served as an Assistant District Attorney for Lebanon County. During law school he served as a law clerk with the Pennsylvania Supreme Court. David resides in Lebanon County with his wife and two children, and is active in the local community. 2007, Widener University, School of Law, J.D. Contact David R. Warner, Jr.